We are pleased to announce the Rabbi Yehuda Simes zt”l Torah Project. The Rabbi Simes Torah Project is a celebration of the man who positively affected so many lives. 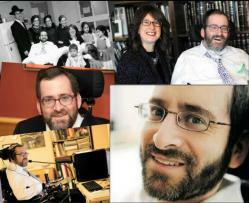 His lasting influence on the Ottawa Jewish community and our Congregation is immeasurable. Rabbi Simes loved his family. He loved Judaism. He loved his community and he loved learning. A Torah scroll dedicated in his memory will honour his love of teaching, learning and commitment to a life of Torah. This Sefer Torah will be housed at Beit Tikvah, the shul Rabbi Simes attended. In recognition of the fact that Rabbi Simes reached the entire community, the Sefer Torah will be made available and brought to other locations for Simchas and sadly, during times of sorrow. The Simes family will receive great comfort in knowing that their husband and father’s legacy lives on. While his 11 year-old son, Yitzhak, will not have his father at his Bar Mitzvah, he is very excited that he will be able to use the new Sefer Torah, in his Abba’s memory. The very last mitzvah of the 613 Mitzvot in the Torah is that each individual write his own complete Sefer Torah. If one cannot write a Sefer Torah, the obligation can be fulfilled by participating in a community Torah project. This is a wonderful opportunity to perpetuate the memory and legacy of our beloved Rabbi Yehuda Simes zt”l. We invite you to join us in honouring Rabbi Yehuda Simes by making a dedication in his honour. A community celebration and public inscription will take place this Spring. "In memory of Rabbi Simes z"l"
"We are proud to have a part in this endeavor. Hatzlacha Rabba." "In Honor of Shaindel, your amazing smile and strength is an inspiration to us all! I am proud to be among your friends." "Lzecher nishmas Rabbi Simes. In honor of a true role model, Shaindel." "Leilu Nishmas Rabbi Simes and in honor of Shaindel and family." 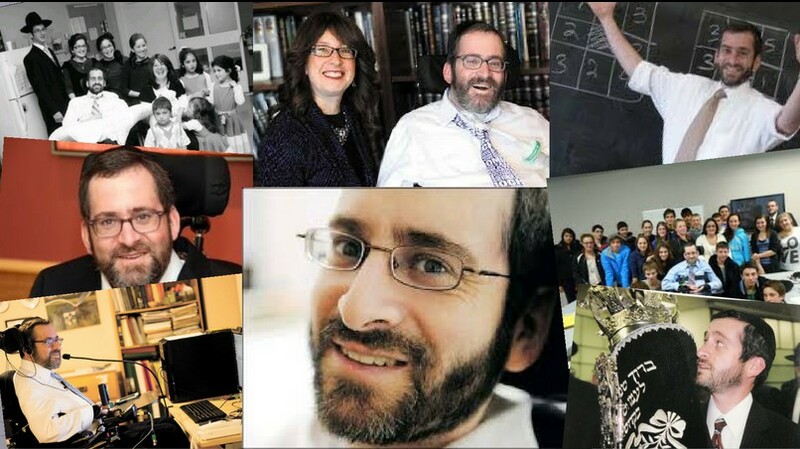 "In honor of an amazing teacher who continues to inspire"
"In memory of RABBI YEHUDA SIMES ZT"L"
"In memory of Rabbi Simes ztz"l, and in honor of his wonderful family." "In memory of my teacher." "In honor of shaindel and her family"
"Hi Mrs Simes, hope you're doing well." "May your father's neshama have an aliyah!" "In honor of Rebbitzen Shaindel Simes,May HaKadosh baruch Hu bench you with gezunt and nachas from your beautiful family." "In memory Of Rabbi Simes and in Honor Of Rabbi Zisha Shaps"
"In honor of the great tzaddik R' Simes, who continues to inspire so many." "L'zecher nishmas our father. May we merit to follow in his footsteps." "In honor of Elisheva Simes"
"The neshama should have an aliyah"
"In honor of Rabbi Milder"
"In honor of Rabbi Simes' incredible children, Malka and Elisheva." "Dedicated to the wonderful Simes family. Mazel-Tov on Yitzchok's bar mitzvah. May he continue to be a source of nachas to the family, Klal Yisroel and Hakodosh Boruch Hu!" "In memory of Rabbi Yehuda Simes, a man whom we always admired"
"Honored to be a part of this special zechus"
"I am so lucky that I have been zocheh to get to know the Simes family and get a glimpse of what an incredible person Rabbi Simes was and continues to be through the tremendous inspiration he inspired amongst anyone who got to know him or anyone in his fam"
"May R'Simes' holy neshama have an everlasting aliyah! He should be a meiletz yosher for your whole family ad me'ah v'esrim shana!" "Dedicated to Shaindel Simes for being a true example of what it is to live with emunah and bitachon. She continues to be an inspiration for us all." "For Baila, Hatzlacha with everything!" 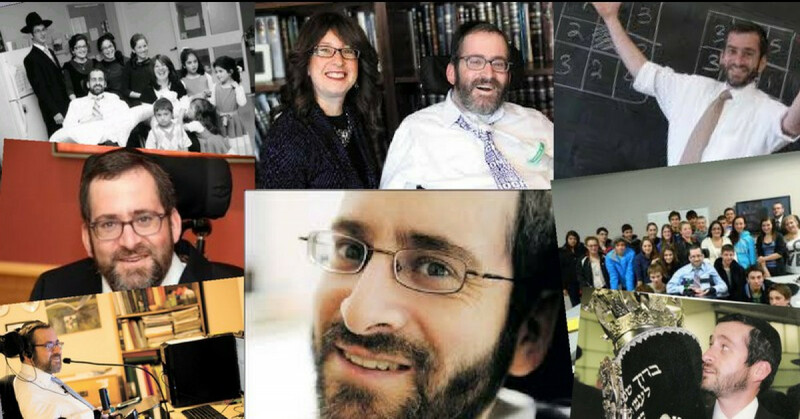 "May his dear family have comfort from the knowledge that he and his/our Torah continue to bring light into this world"
"In Honor of Rabbi Dovid Vinitsky"
"May his Neshama have an Aliya"
"In memory of Rabbi Simes and in honor of Shaindel and her wonderful children." "What a meaningful way to honor, remember and celebrate Yehuda"
Congregation Beit Tikvah, 15 Chartwell Ave, Nepean, ON K2G 4K3. 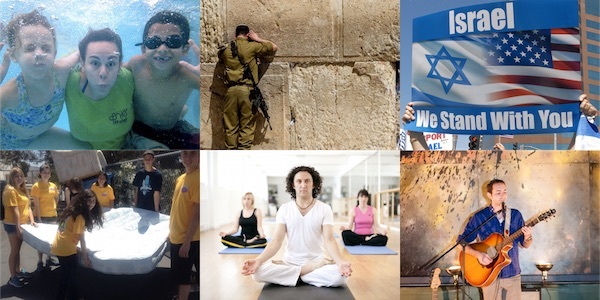 613-723-1800 or at shul@cbto.org.